Have you ever signed up for emails about something you were interested in at the time, but aren’t interested in now? If so, then you will understand the value of an unsubscribe or opt-out option. A couple years ago I was shopping for a new washer and dryer, so I subscribed to several email lists. One contained consumer reviews, a couple more were for special offers from stores. The reviews were helpful and I used a special sale email to get the best deal. But now, 2 years later, I’m no longer shopping for appliances. The emails are no longer relevant and I don’t care to read them. Make it easy for your readers to unsubscribe or opt-out from your emails. This is necessary to prevent recipient frustration and SPAM reports. Of course you don’t want people to unsubscribe from your email communications. The idea is to grow your email list to reach more and more people, expanding your business, right? While that is the ultimate goal, the process is not always straightforward. The most effective email lists aren’t necessarily the largest. The most effective lists contain readers who are interested in the information you send them. If a reader doesn’t need your product or service, they aren’t likely to give you any business. Worse than that, they may get tired of receiving your emails and label it as SPAM. In email, as in life, reputation is everything. Every time someone reports your email as SPAM, your email reputation takes a hit. For this reason, it is important to make it easy for readers to unsubscribe or opt-out of your emails. 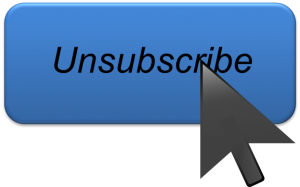 What does it mean to unsubscribe or opt-out? People who no longer wish to receive your emails need a way to remove their name from your email list. That’s what an unsubscribe or opt-out button does. It’s usually a link placed somewhere in the email message. A contact who unsubscribes has no affect on your email reputation. Why is it bad for my emails to be labeled as SPAM? Higher than average SPAM complaints can permanently damage your email sender reputation. Your messages may end up being delivered to junk folders instead of inboxes. So while no one wants readers to opt-out of their email communication, the alternative (i.e. SPAM complaints) is much worse. How can I avoid the dreaded SPAM complaints? Every email you send out for or about your business should include a working unsubscribe or opt-out link. This is usually placed in the footer of the message. What does PEP do to help me avoid SPAM complaints? PEP gives you an easy way to set up your account so that emails sent through the PEP system come from your email address – an email address that your customers will recognize. We published a blog last year about email delivery and how to avoid the Junk Folder. 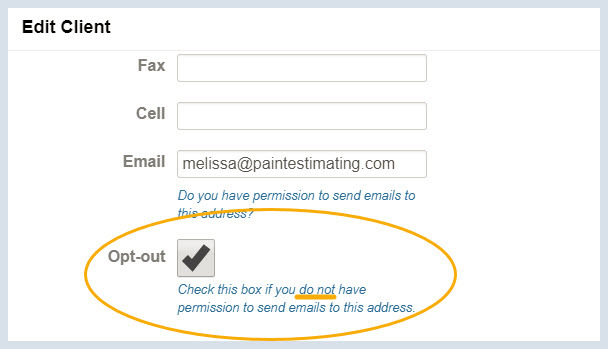 If you speak to the customer and get his or her permission to resume emailing, you can manually un-check the “Opt-out” box.